Despite the long and chequered history of commodity derivatives trading in this country, extending for more than century and a half, neither the lay nor the learned, including, surprisingly, most economists and even those involved in regulation of commodity derivatives exchanges, betray lack of knowledge on the theory, working, utility, and regulation of trading in commodity derivatives of diverse hues. 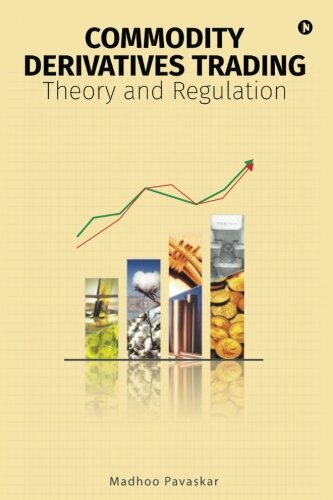 It is against this background, the present book is aimed at teaching the commodity derivatives exchanges, their participants, the regulator s, and the students of commodity derivatives economics and managements, both the theory and regulation of commodity derivatives trading in all its aspects. For, a commodity economy like India must aim to develop strong global commodity derivatives markets in the country to promote swift growth in agriculture, industry, and international trade by strengthening competition and competitive efficiency to improve productivity, as also proficiency in marketing in all sectors of the economy. This book is a modest step towards achieving that aim and objective. If you have any questions about this product by Notion Press, Inc., contact us by completing and submitting the form below. If you are looking for a specif part number, please include it with your message.